Okay, everyone…it’s that time of year again…time to vote! I know, I know, I keep harping on the fact that we all need to participate in the political process. But I strongly believe in the power of choice; choosing our leaders, representatives and laws that govern us shapes our society and our daily lives. Many people feel disheartened and jaded about politics, that their vote doesn’t matter. But seriously, it does matter. When I was an intern at the Massachusetts State House, I witnessed firsthand how the passionate pleas of constituents can inform and at times sway legislators. We shouldn’t take our freedoms for granted as there are parts of the world where people aren’t allowed to vote or face elections fraught with danger. Casting your ballot is a powerful way to express yourself; to stand up for what you believe in. So have I convinced you to vote yet?? Hopefully, I have. Not sure who to vote for? I’ve provided some links and resources so you can be prepared when you head to the polls. As I’ve written previously, 5 Senate candidates want to strip women of their reproductive rights. If you want to protect a woman’s right to choose, then be sure to vote against Sharron Angle (Nevada), Rand Paul (Kentucky), Ken Buck (Colorado), Joe Miller (Alaska) and Christine O’Donnell (Delaware). According to NARAL Pro-Choice America, while the Senate is fairly evenly split, there are currently more anti-choice than pro-choice politicians in the House. You can also check out candidates’ voting history at OnTheIssues and at Project Vote Smart as well as take a quiz (and c’mon, who doesn’t like quizzes??) to see which candidates’ stances match your own. Arizona (Prop 109), Arkansas (Issue 1), South Carolina (Amendment 1) and Tennessee: Should the right to hunt and fish be added to the state constitution? North Dakota (Statutory Measure 2): Should the shooting of big game within fenced areas be banned? California (Prop 21): Should an $18 annual vehicle license surcharge be established to help fund state parks and wildlife programs and grants free admission to all state parks to surcharged vehicles? California (Prop 23): Should the state’s 2006 Air Pollution Control Law, that mandates reductions in greenhouse gases, be suspended until the state’s unemployment rate drops below 5.5 percent? Polls are open TODAY, 11/2 from 7am until 8pm in most districts. You truly do have the power to make a difference. 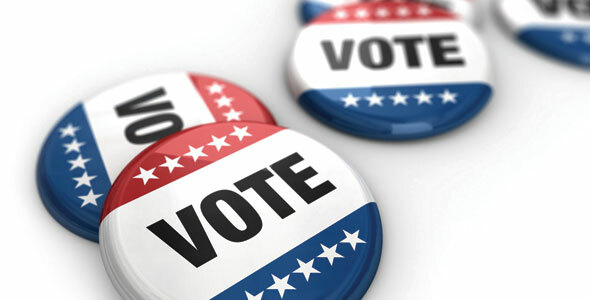 Make your voice heard…rock your vote! I voted NO on 109 because it’s a scary grab at power by the legislature. They want to tie the hands of Arizona voters. Today it’s aimed at wildlife, who knows what it could be tomorrow! @John, that’s fantastic that you voted no on Prop 109. Thank you so much for sharing!